You’ve played a boardgame for a little while with your friends when you realize no one is having any fun. You turn to your friends and say “Well, we’ve gone this far lads. Might as well see it to the end.” Then you proceed to spend an evening trudging through a less-than-enjoyable experience, just because you did not want to waste the time you had already sunk into it. Instead of stopping after wasting one hour on something, you decide to spend another hour on it just to finish it, essentially spending twice as much for no reward. It seems silly here, but it happens often in innovation. 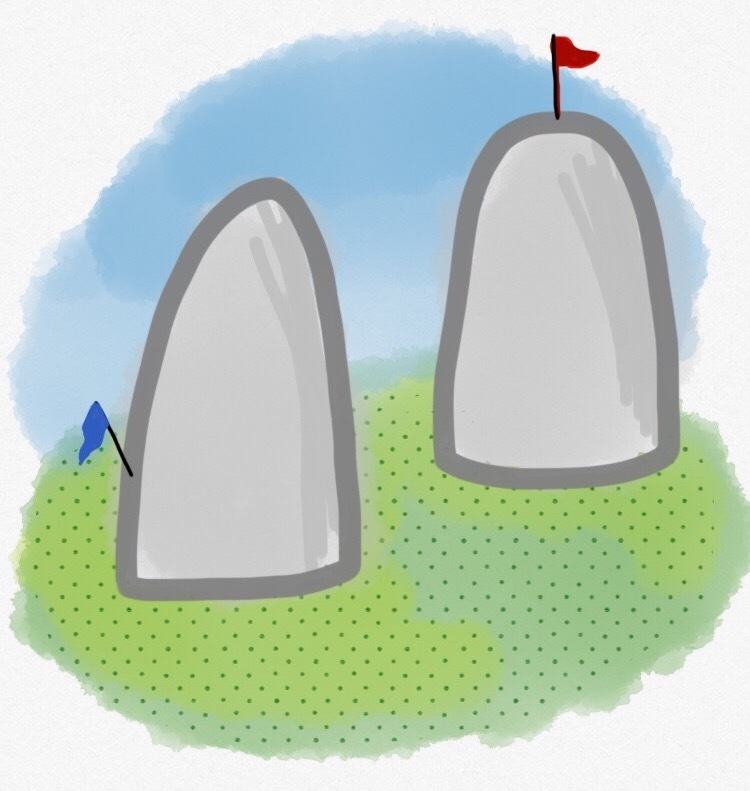 Ed Catmull uses a model of two hills in his book, Creativity, Inc. The Sunk Cost Fallacy is the enemy to innovation. To understand how to defeat it, well use the Lean Startup principle, the Build-Measure-Learn feedback loop, as a lens. This is the phase that lets you minimize your sunk cost. Keeping costs low helps you mitigate the opportunities for you to say “We’ve spent so much already on this… we should push forward.” A great way to minimize sunk cost is to prototype as minimally as possible. What are you testing? What’s the cheapest way to validate it? Maybe there is a way to build a Paper Prototype or to smokescreen your prototype? Do not splurge on additional features, functionality, or looks. You just need what is minimally viable. Numbers never lie, but we tend to bend their truths from time to time. Set the success metrics for your prototype as early as you can. Do not budge on these numbers and be honest with yourself. If you set a goal of a 5% conversion rate, your test may be successful, but are you really reaching for where you need to go? Be wary of vanity metrics. Focus on the stuff that is going to matter. For a great model of this, look to baseball and the rise of Sabermetrics. Some statistics are easy to calculate in baseball; like batting average or earned runs average. However, some people started to look at new statistics, ones that really highlighted the value of the player towards creating a winning team. Sabermetrics includes stats like runs created or wins above replacement. You need to find the mechanic or action that your prototype needs to accomplish now, and build a statistic tied directly to that, in its most simplistic form. Charging up the wrong hill is ok, as long as when you realize it is the wrong hill, you don’t keep charging up because that’s what you’ve always done. Time to find the next hill. At this point you’ve tested your prototype, collected your success metric data, and your hypothesis has either succeeded (in which case, ignore me) or it has failed (read on, dear reader!). This is the exciting part. You’ve proven, with numbers, that you’ve charged up the wrong hill and it is time to face facts. Now you get to pivot! This might mean you need to spend more time understanding and building empathy for your customer. This might mean you need to evaluate the constraints of your test. Perhaps your solution has driven too far from the problem. There is a world of opportunity and learning at a pivot point… AS LONG AS YOU DONT KEEP CHARGING UP THE HILL! Has there ever been a time when you charged up a hill even after you new it was the wrong hill? How did the second half of that charge feel? What are ways to minimize your sunk cost?